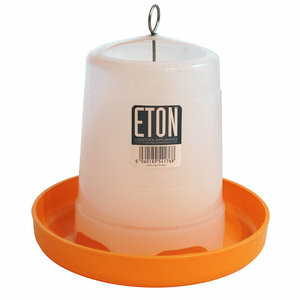 This is an ideal feeder for small number of chickens, bantams or ducks being very easy to use. The height tube can be adjusted to allow the food to flow as required. This feeder can be used outside if hung under a raised coop or under some form of cover and in doing so minimising any potential vermin problems.